Jasper Land Surveying – Page 2 – …a marketing website for The Land Consultants. A Topographic Surveyor also known as a Topo Surveyor collects the survey data to locate man-made and natural marks and its elevations on a particular portion of land. It normally comprises any man-made underground marks such as utility lines. It will also illustrate ground level installations such as utility poles, buildings, walls, and many other significant installations. 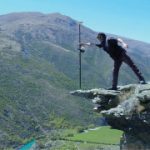 The utilization of standard topographic surveying procedures are commonly employed to provide accurate measured plan of terrain. It is also used during the mapping and graphing phases of projects to blueprint the locations and layout of the installations, road, buildings, and many other engineering and architectural projects in the construction industry. 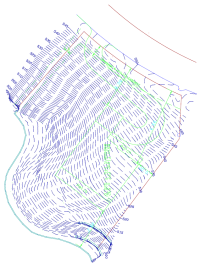 Why Hire a Topo Surveyor? The purpose of getting a Topo Surveyor to do topographic survey is to obtain an accurate trace and documentation of the present state of a parcel of land that will be constructed on; either a building, a wall, or any other construction activity. 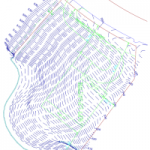 The design engineers make use of the topo survey as they plan the design and then the proposal of the final surface. It is important to have this plan as this allows the Engineer compute, analyze, and estimate the amount of earth work that might be required. The Engineer will also be able to balance the amount of earth work to minimize the dirt to be taken off and on the construction site. The architect also makes use of the topo survey the same way as the Engineer does. Additionally, the architect may plot the surface in 3D to picture out the finished look with the improvements he might add. This plot may be presented to the construction owner, building owner, or the land owner before the actual construction takes place. An accurate topo survey is of big help to ensure the installations and improvements fits in on the site within its boundaries. The two common methods of doing a topographic survey are Aerial Topo Survey and Conventional Topo Survey. How the topographic survey done would vary on the method the Topo Surveyor use. 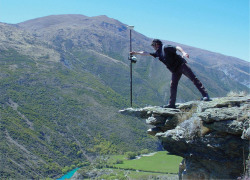 It is important that a topo surveyor know how to carry out both in any circumstances. So if you will need one, make sure he is professional and experienced both methods. An Aerial Topographic Survey is done on the airspace. It is taken either in a helicopter or in an airplane at a defined distance above the ground level. Aerial photos of the ground surface are then taken and examined by the topo surveyor. This will allow him to envisage the ground surface through the structure of a stereo pair. By looking at the two overlapping aerial photos, the vantage points are determined. A Conventional Topographic Survey is done when there is a need to get the accurate contour interval and spot elevations. The Aerial Topographic Survey is limited in the precise vertical and horizontal point location of the ground surface. These are just simplified elaboration of the two methods of topographic survey to provide you an overview. Read and research to learn in depth about them or ask a topo surveyor. If you need a Topo Survey, Please call ​Jasper Land Surveying today at (423) 301-8001 or fill out a contact form request for more information concerning your land surveying needs.